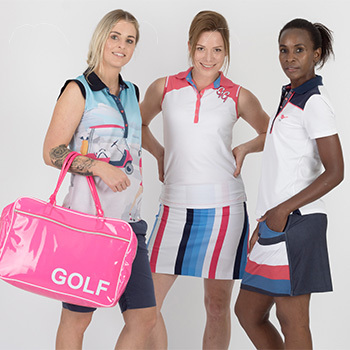 A boutique line of made-to-order women's clothing for golf and casual wear. The Girls Golf brand was founded in 2004 by Annie Margulis in Bloomfield Hills Michigan. Annie’s goal to bring fashion and runway trends a new way of looking at women’s golf clothing on and off the course.